While most people across the world remain oblivious to the dangers of this ‘Silent Epidemic’, it is a silent disease only if we remain silent and wait until it creates complicated by fractures. Prevent & Prepare, Rather Than Repent & Repair. 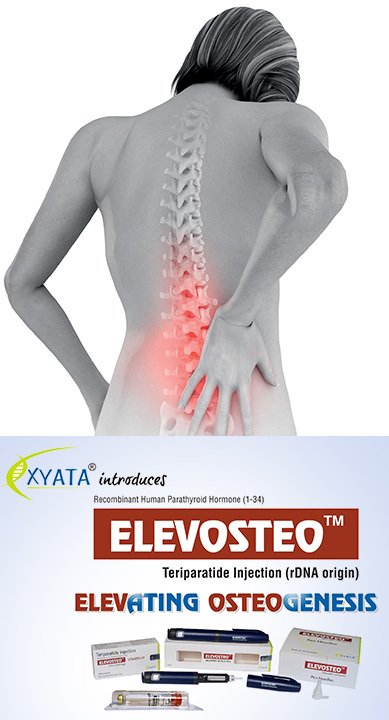 This is the only guiding light, when it comes to leading the fight against osteoporosis. Osteoporosis can be best understood as ‘A Bone Thief’. While most people across the world remain oblivious to the dangers of this ‘Silent Epidemic’, it is a silent disease only if we remain silent and wait until it creates complicated by fractures. Prevent & Prepare, Rather Than Repent & Repair. This is the only guiding light, when it comes to leading the fight against osteoporosis. As the second most populous country in the world, India is home to a very large population of osteoporosis patients. Although rather late off the block in terms of economic reforms and development, a steady increase in life expectancy to 66 years is rapidly leading to a very large ageing population, which is at a very high risk of osteoporosis. Osteoporosis is a disease in which the density and quality of bone are reduced, leading to weakness of the skeleton and increased risk of fracture, particularly of the spine, wrist and hip. Osteoporosis and associated fractures are an important cause of mortality and morbidity. These fractures can occur with minimal trauma. As per the recent data from the International Osteoporosis Foundation, worldwide 1 in 3 women over 50 will suffer a fracture due to osteoporosis. This will increase to 1 in 2 over 60. At the same time, 1 in 5 men over 50 will suffer a fracture due to osteoporosis. This is expected to increase to 1 in 3 over 60. Approximately 1.6 million hip fractures occur each year worldwide, the incidence is set to increase to 6.3 million by 2050. Knowledge is the greatest power to fight off this deadly disease. An active life style, balanced healthy diet, adequate exercise are an assurance for healthy bones.